Member of RG Distribution Group, the company Gentec Benelux is a solutions provider addressing problems related to precision assembly, adhesives, encapsulants, coatings, UV curing and UV light measurement for a wide range of industries. With over 30 years of experience, Gentec is supplying quality equipment and materials to an ever growing number of industrial clients in Belgium, The Netherlands and Luxembourg. Since 1988, Gentec has offered adhesives and equipment of the highest quality. In the Gentec applications lab, we use Omnicure technology together with adhesives from EpoTek, Norland and Cyberbond to evaluate potential bonding solutions. By combining our years of experience, our in-depth understanding of UV curable adhesives and the Omnicure Spot-Curing equipment, Gentec strives to provide elegant bonding solutions without delay. 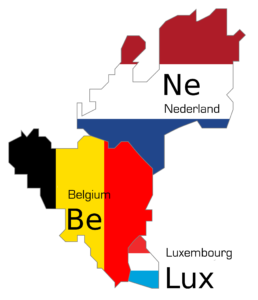 Gentec Benelux is located in Belgium, around Brussels, in Nivelles and distributes its products throughout the Benelux countries (Belgium, The Netherlands and Luxembourg).